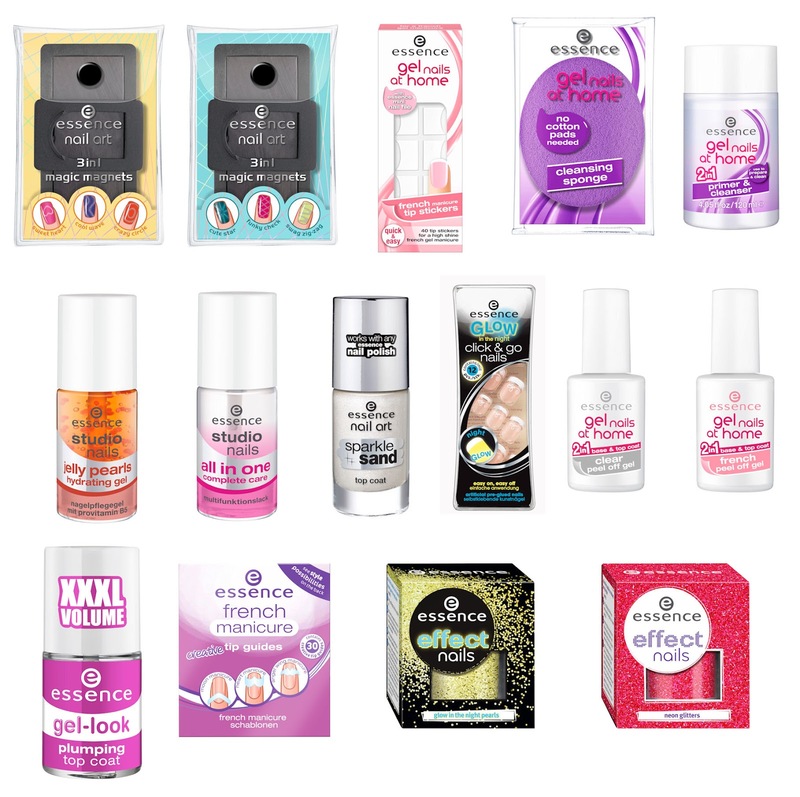 Yep, it's finally here, the press information about the changes to Essence's standard assortment for the coming seasons! 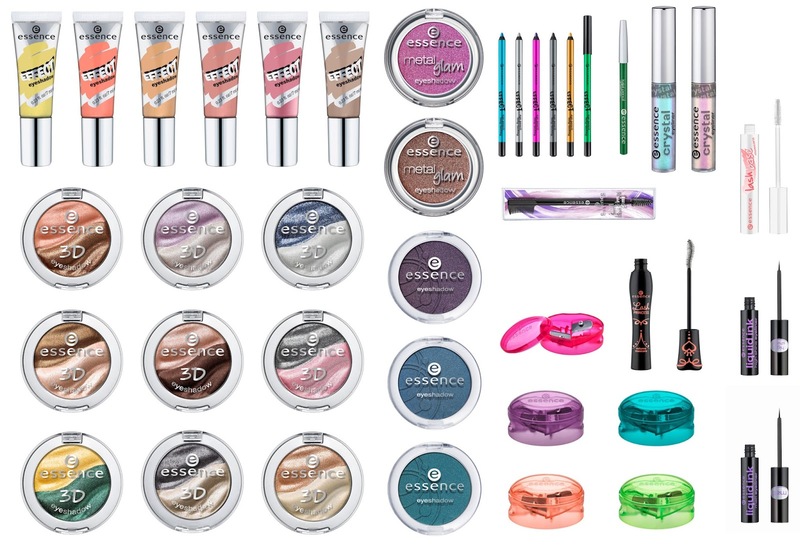 And these should be in stores mid August already, so I kinda expect a big sale soon :) I'm not adding all the info on the makeup products, I'm a bit busy at the moment but I might add it later if anyone has interest in that. And of course, feel free to ask if you'd like to know more about a product! Right, prepare for lots of pics! And as always, they're clickable for an enlargement. Enjoy! nail art stickers €1,39 - hello foils! transfer solution €1,89 - hello foils! 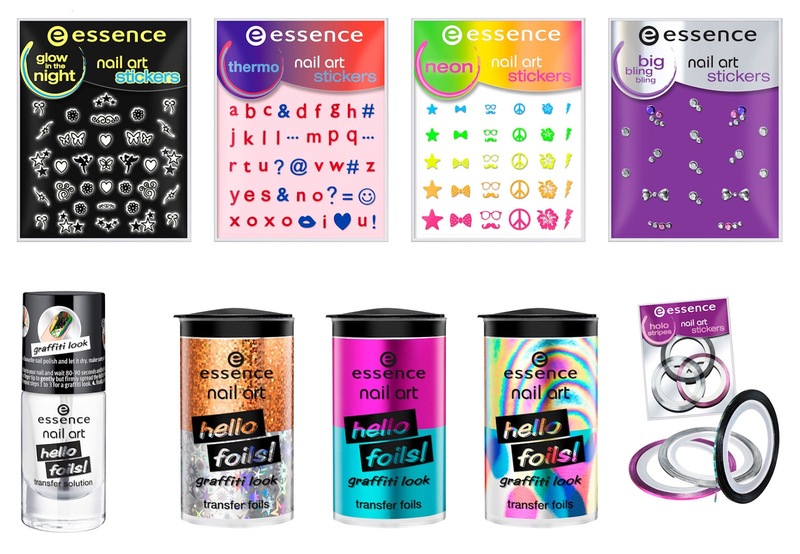 transfer foils €1,49 - nail art holo stripes pack €? ?